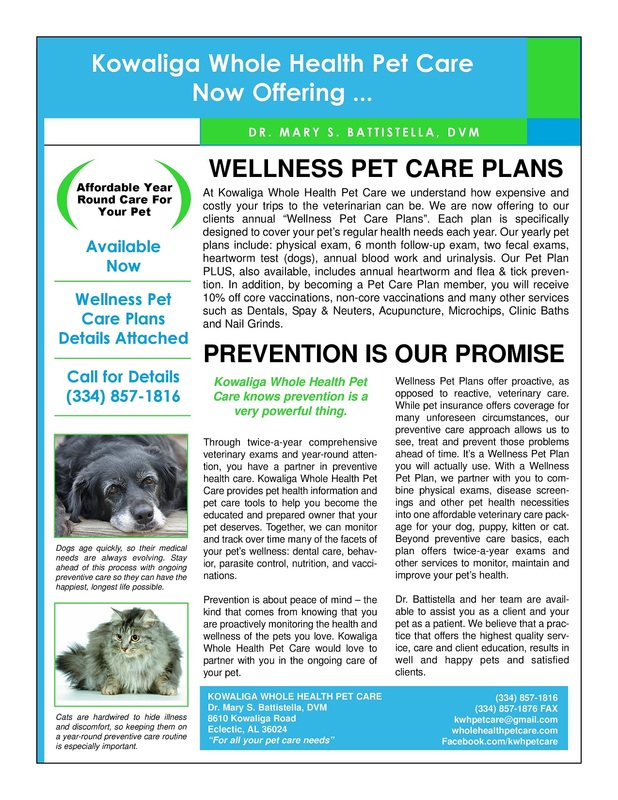 Kowaliga Whole Health Pet Care - Veterinarian In Eclectic, AL USA :: Introducing... Wellness Pet Plans! Have you been searching for a vet clinic that accepts "payment plans" of some sort? Well, look no further... 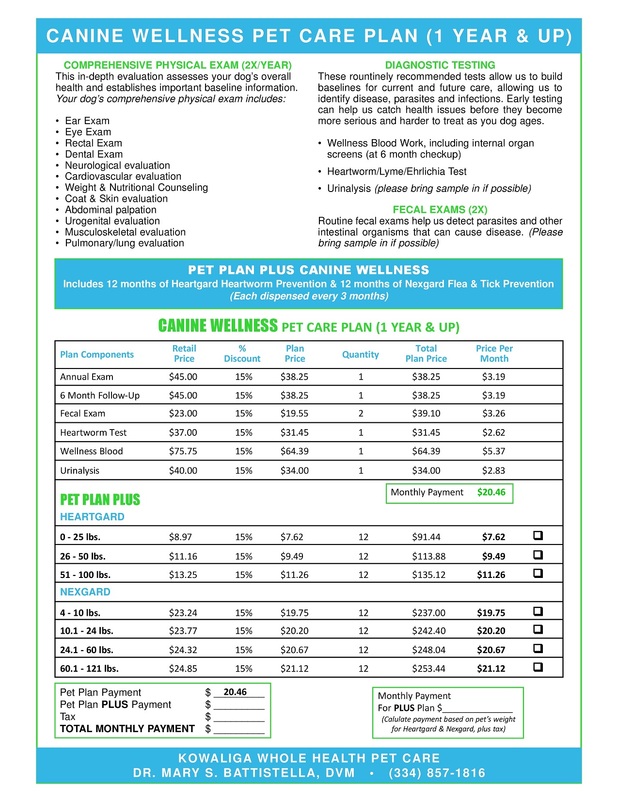 Starting this year, we are now offering Wellness Pet Plans. 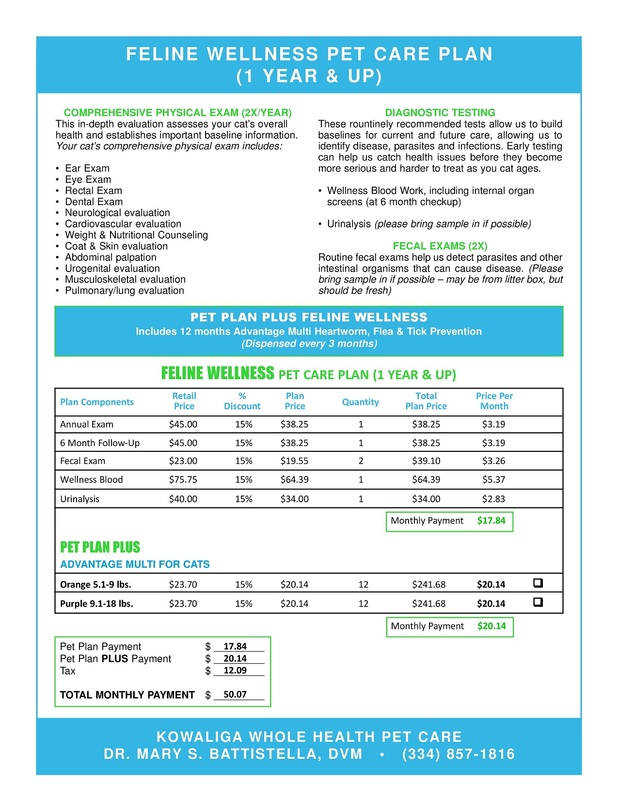 This program takes the yearly cost of your pet's wellness care and breaks it down into small, manageable monthly payments. Plus, by signing up you get an automatic discount on many of our services. It's a great way to save money over the long run! Check out the attached flyers for more information. If you have any questions, or are interested in signing up, just give us a call!